Turkey’s state-run news agency says the country’s health minister has arrived in Somalia to co-ordinate the evacuation of some of the wounded in the truck bombing in Mogadishu. 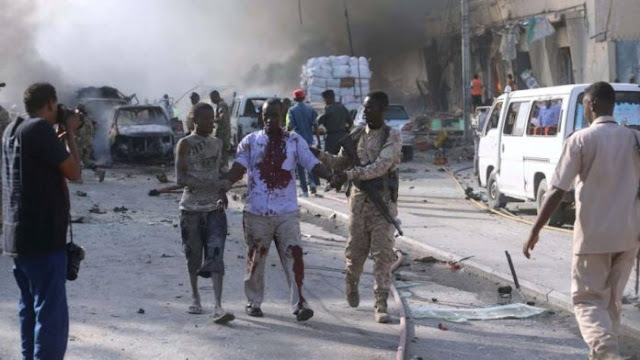 More than 300 people were killed and about 300 injured in the deadliest attack in Somalia’s history. Anadolu Agency said Health Minister Ahmet Demircan is accompanied by 33 Turkish medical personnel. Hospitals in Turkey have been readied to receive about 50 of the wounded. The agency also reports that Turkey’s Emergency and Disaster Management Agency is sending search and rescue experts and medical teams. Dr Abdulkadir Adam, the director of Aamin Ambulance, says more people have died of their wounds in the past few hours and the death toll is expected to rise even more. Overwhelmed hospitals in Mogadishu are struggling to assist other badly wounded victims, many burned beyond recognition. This is the deadliest single attack the Horn of Africa nation has experienced to date. Somalia is blaming the al-Shabaab extremist group, which has not commented. The attack was one of the worst in the world in recent years.